Road safety is one of the most important aspects that any car from any manufacturer needs to focus on. In an ideal world, road safety would supersede all other aspects of a car, especially when we’re all so aware that road accidents claim lives. It’s a deathly frightening prospect to have the idea of dying in a car crash, whether you’re a driver, a passenger, or just an innocent bystander. And those that do survive a car crash are likely to be injured in a manner that would be disruptive to their way of life. Sometimes, these disruptions to their lives can even become permanent, as is the case with a permanent injury or loss of limb. 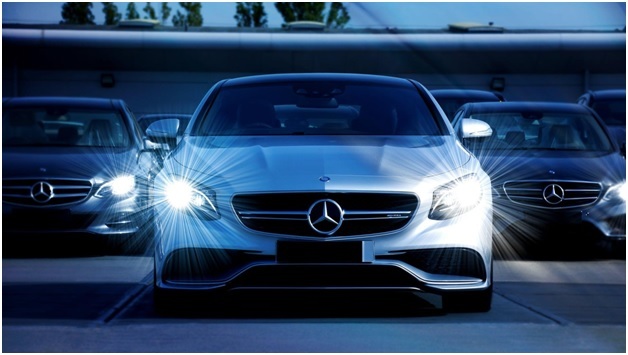 And if the old adage is true, that “prevention is better than cure”, the plethora of safety features and technologies that Mercedes-Benz have been developing over the years is a definite tribute to that statement. This is especially true now that we have incredibly fast cars and an ever-increasing likelihood for car accidents with the advent of self-driving cars. In fact, many modern cars are armed to the teeth with a slew of safety and security features. Many of these can also be found in Ford’s latest models which you can only purchase from the best Ford dealer. So, in this era of computers, how exactly are we putting our technologies to function toward the safety of users and the public in general? Many fatal accidents happen at intersections because the collision point is usually at the most vulnerable areas of a car — its sides. While it’s true that car manufacturers are taking as many precautions as they can in order to mitigate the damage caused to both drivers and passengers that figure in an intersection crash, the cross-traffic assist feature seeks to prevent the accident from even happening. Through the use of stereo sensors, the cross-traffic assist system scans for crossing vehicles. If a dangerous situation is detected, the BAS Plus system can also detect when the driver applies the brakes and then increases brake pressure if necessary. This helps prevent a collision, or in cases where it is unavoidable, reduce the impact of the collision. Pedestrian crossings are also accident-prone areas that require your utmost attention where you’re traversing them. The Pre-Safe Pedestrian detection system is composed of a stereo camera as well as three range radars that have an effective range of 200, 60, and 30 meters respectively. The system scans for pedestrians and automatically applies the brakes if the system does not detect any attempt from the driver to slow down. The Distronic Plus with steering assist system functions as an automatic cruise control system that monitors the distance between the vehicle and another vehicle in front of it. This system maintains a set distance with the purpose of relieving the driver of stress from stop-and-go traffic. The system applies the brakes when necessary and it is also capable of accelerating in order to maintain the set distance.